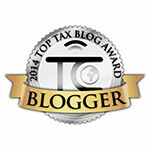 The Buzz About Taxes: Learning The Mechanics Of A Foreign Tax Credit! Learning The Mechanics Of A Foreign Tax Credit! Income tax systems that tax residents on worldwide income (such as the American tax system) generally offer a foreign tax credit to relieve a potential for double taxation. 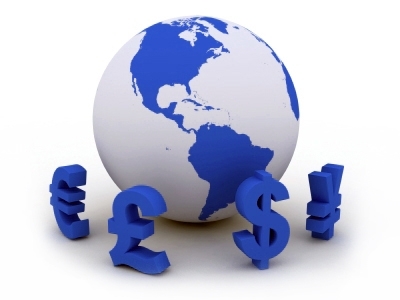 This credit is usually limited to the income attributable to foreign source income. What does this mean? If you paid or accrued foreign taxes to a foreign country on foreign source income and are subject to U.S. tax on the same income, you may be able to take either a credit or an itemized deduction for those taxes. This means that, if taken as a deduction, foreign income taxes reduce your U.S. taxable income. Or if taken as a credit, foreign income taxes reduce your U.S. tax liability. One can choose whether to take the amount of any qualified foreign taxes paid or accrued during the year-- as a foreign tax credit or as an itemized deduction. Also, one can change one's choice for each year's taxes. However, this choice applies to all foreign taxes paid or accrued during the year. For the purposes of this blog post, we will focus on the foreign tax credit. The foreign tax credit is taken on the Form 1116, Foreign Tax Credit. Or for taxes in lieu of these taxes. In addition, there is a limit on the amount of the credit that you can claim. You figure this limit and your credit on Form 1116. Your credit is the amount of foreign tax you paid or accrued or, if smaller, the limit. Your qualified foreign taxes for the tax year are not more than $300 ($600 if married filing a joint return). All of your gross foreign income and the foreign taxes are reported to you on a payee statement (such as a Form 1099-DIV or 1099-INT). You elect this procedure for the tax year. If you make this election, you cannot carry back or carry over any unused foreign tax to or from this tax year. Foreign Taxes From A Partnership or S Corp: If foreign taxes were paid or accrued on your behalf by a partnership or an S Corporation, the foreign tax credit can be figured from some information from the Schedule K-1. Foreign Income Exclusion: We talked about the ability to exclude your foreign income from taxation in this post. If you opted to exclude your foreign income, you cannot claim foreign tax credit on the same income. Tax Treaties: The United States has tax treaties with various countries, in part to prevent double taxation of the same income by the United States and the treaty country. Certain treaties have special rules you must consider when figuring your foreign tax credit if you are a US citizen residing in that treaty country. Carryback and Carryover: If, because of the limit on the credit, you cannot use the full amount of qualified foreign taxes paid or accrued in the tax year, you are allowed a 1-year carryback and then a 10-year carryover of the unused foreign taxes. 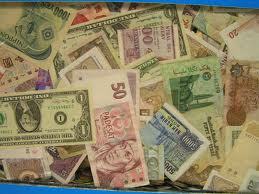 Note: Do not forget that having passive foreign income maybe indicative of foreign bank accounts. In which case you have a responsibility to file FinCEN Form 114 and/ or Form 8938. More about these forms in my post here. These numbers are tricky and you may not be able to get the different and best options available to you even with an over-the-counter software in a box. Make sure you consult with an Enrolled Agent about the best option for you. I believe you can only claim the foreign credit for taxes paid to countries that have a tax treaty with the US. On the other hand claiming the FTC usually triggers the AMT. Based on your experience what is the best way to prove the withholding? Hello Alfredo, thanks for your comment. There are restrictions for certain countries but this is not based on whether they have treaties with the US or not. FTC can be claimed for taxes paid to any foreign country NOT on the list of sanctioned countries, as long as other conditions are fulfilled. Refer IRC § 901 and Pub 514. FTC might trigger Alternative Minimum Tax (AMT) but it is not the only factor that does nor does it always do so. There are several other reasons a taxpayer may become liable for AMT. The withholding proof that I generally use are proofs of tax deducted at source statements from banks or other financial institutions on their official letterheads, or actual tax returns filed in foreign countries. There are sometimes other receipts that might also be acceptable, it depends on the situation. The Mysterious Form 1099-MISC- Unveiled!